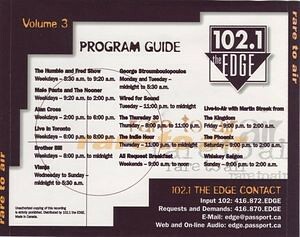 I'll bet the Edge 102'ers would get smoked in a ball game but would win in a game of Name That Tune. Too soon, man... too soon. That's what you get for making us listen to half a phone conversation for ten minutes! @Toronto Mike: I got the Eagles "Those Shoes" right away. "They Did a Bad Bad Thing" I got, just didn't know who sang it. Martha And The Muffins I would've never, ever got, same as the Hip. Hmm. Just noticed this...Strombo Monday and Tuesday from midnight to 8:30? You sure it wasn't midnight to 5:30? Cause H&F came in at 5:30. In my defense, I did get the songwriter for the Martha and the Muffins track, as well as the Chris Isaak, Eagles and Hip. I knew it was The Hip right away, I just couldn't come up with the non-single track on Music @ Work, one of my least favourite Hip albums. Maie Pauts is Ryan Goins - or maybe Pillar - and Brother Bill is Kawasaki. Jays lineup would dominate the summer, while CFNY would fare better in October. Bluejays for me. That was a treat to watch this year. I think this is an apple and oranges comparison though. How does the edges 97 line up stack up against the mighty Q, HTZ fm etc in 97? I'm missing something, what's all the "name that tune" reference? 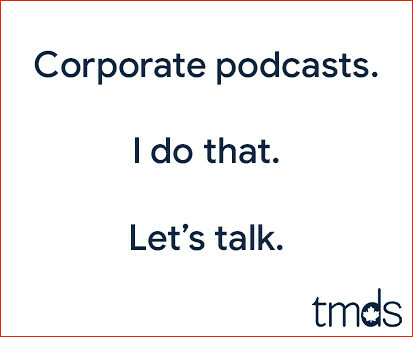 Everyone who subscribes to Toronto Mike'd will periodically be pushed bonus audio. I call these Rapid Faxes. There's been two so far, and the "name that tune" is explained in the second one. Who would win in a fight against Josh Donaldson...and Humble Howard? That's right, Coach Ditka. 1997 CFNY for sure. Mid 90's was when they hit their apex (for me anyways).